Government contracting and industry officials alike now can chart their professional education plans for 2019. 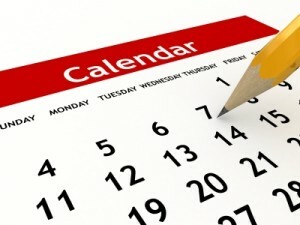 The Contracting Education Academy at Georgia Tech has updated its training calendar for 2019, and all new course dates are posted at: https://contractingacademy.gatech.edu/training. FCN 190: FAR Fundamentals – Designed for both GS-1102 contracting personnel as well as aspiring government contractors, this 10-day course conveys basic knowledge of the Federal Acquisition Regulation (FAR), including how to apply the rules in order to make appropriate decisions at each step of the contracting process. Curriculum supports the latest revisions to the Federal Acquisition Certification in Contracting Program. CON 090-1: Contracting Overview of the FAR – Covers the identification of the basic principles of federal government contracting, including the structure and content of the Federal Acquisition Regulation (FAR) and agency supplements. Students learn how to locate, cite, and interpret regulations. CON 090-2: Contract Planning in the FAR – Covers acquisition planning, market research, describing agency needs, the preference for commercial and non-developmental items, contract types, special contracting techniques, socioeconomic programs, special terms and conditions, contractor qualifications, and advertising requirements. CON 090-3: Contract Formation in the FAR – Covers policies and procedures for simplified acquisitions, sealed bidding as well as negotiated acquisitions, cost accounting standards, special contracting methods and emergency acquisitions, and the filing and handling of protests. CON 090-4: Contract Administration in the FAR – Covers the fundamental concepts of contract administration including the handling of untimely or non-compliant performance, interpretation of clauses, contract modifications, payments, contract disputes and appeals, and complete or partial contract terminations. CON 170: Fundamentals of Cost & Price Analysis – Conveys fundamental quantitative pricing skills, including seller pricing strategies, the Truth in Negotiations Act and how it mitigates government risk, application of Cost Accounting Standards Board (CASB) rules to negotiated contracts and subcontracts, and contract cost principles and procedures. Covers cost-volume-profit analysis, contribution margin estimates, and cost estimating relationships. CON 243: Architect-Engineer Contracting – Focuses on contracting for architectural-engineering services, including acquisition planning, source selection, proposal analysis, contract award and work, and contract management. Specific topics and practical exercises convey knowledge of the Selection of Architects and Engineers statue, SF-330, the slate and selection process, the review of government estimates, liability, Title II services, modifications, and contracting officer’s technical representative responsibilities. CON 244: Construction Contracting – Focuses on contracting issues unique to construction, including acquisition planning, contract performance management, funding, environmental concerns, construction contract language, construction contracting in a commercial setting, the Construction Wage Rate Requirements statute, design/build methodology, basic schedule delay analysis, constructive changes, acceleration, construction contract quality management, and more. COR 206/222: Contracting Officer Representative and the Contingency Contracting Environment – Covers the role and responsibilities of the COR in contract administration, including contract planning support, contract awards, contract changes and modifications, monitoring performance, expenditures and schedules, and ethical situations and cultural differences a COR may experience while deployed in a contingency operation. Each Academy course title that contains the designation “CON” or “COR” is DAU-equivalent and satisfies both the FAC-C and DAWIA certification programs. Coursework with the “FCN” designation is approved by the Federal Acquisition Institute and satisfies the latest FAC-C certification requirements. In addition, continuing education units (CEUs) are granted for these courses by the Georgia Institute of Technology. The Federal Acquisition Certification in Contracting Program (FAC-C) establishes graduated education, experience, and training standards for contracting professionals in all civilian agencies. FAC-C certifications are mutually accepted among all civilian agencies as documentation of accomplishment of these standards. The Defense Acquisition Workforce Improvement Act (DAWIA) established a very similar, but not identical, program for the Department of Defense (DoD). Civilian agencies may accept DAWIA certification as equivalent to FAC-C certification. All Academy courses and workshops are available for instructor-led on-site engagements at your location. To discuss arrangements for your group, please contact us at info@ContractingAcademy.gatech.edu. We’ll be happy to provide you with details. The Federal Acquisition Institute’s newest and most comprehensive course offering, FCN 190 – FAR Fundamentals, is now scheduled for presentation on the Georgia Tech campus in mid-September 2018. The course provides students with a comprehensive review of the Federal Acquisition Regulation. Registration information may be found by clicking here. The course spans a two-week period, September 17 – 28, 2018. By attending the FAR Fundamentals course, students learn the federal government’s policies and procedures for acquisition planning, source selection, and contract administration. Students work through realistic, scenario-based problems by identifying the relevant regulations, guidance, provisions and clauses that govern the federal contracting process. The FCN 190 – FAR Fundamentals course was created in response to changes in the government’s professional development standards for federal contracting officials. An OMB Memo on the Federal Acquisition Certification in Contracting Program establishes what’s known as the FAC-C (Refresh) program. The effective date of the FAC-C (Refresh) was October 1, 2014. Details of the training standards established under the FAC-C (Refresh) program can be seen by clicking here. Registration information appears here. The course is also available, on a contract basis, for presentation both on-campus at Georgia Tech and on-site at government facilities. The Federal Acquisition Institute’s newest course offering, FCN 190 – FAR Fundamentals, is now scheduled for presentation on the Georgia Tech campus in August 2017. The course provides students with a comprehensive review of the Federal Acquisition Regulation. Registration information may be found by clicking here. The course spans a two-week period, August 7 – 18, 2017. The Federal Acquisition Institute’s newest course offering, FCN 190 – FAR Fundamentals, is now scheduled for presentation on the Georgia Tech campus in January 2017. The course provides students with a comprehensive review of the Federal Acquisition Regulation. Registration information may be found by clicking here. The course spans a two-week period, Jan. 23 to Feb. 3, 2017. The Federal Acquisition Institute’s newest course offering, FCN 190 – FAR Fundamentals, is now scheduled for presentation on the Georgia Tech campus in January and March, 2015. The course is two weeks in length and provides students with a comprehensive review of the Federal Acquisition Regulation. Registration information may be found by clicking here. By attending the FAR Fundamentals course, students learn the basic policies and procedures for acquisition planning, source selection, and contract administration. Students work through realistic, scenario-based problems by identifying the relevant regulations, guidance, provisions and clauses that govern the federal contracting process. The FCN 190 – FAR Fundamentals course came about as a result of recent changes to the government’s professional development standards for federal contracting officials. A recent OMB Memo on the Federal Acquisition Certification in Contracting Program established what’s known as the FAC-C (Refresh) program. The effective date of the FAC-C (Refresh) is October 1, 2014. Per the memo, all civilian agencies must fully implement the FAC-C (Refresh) by October 1, 2015. Details of the training standards established under the FAC-C (Refresh) program can be seen by clicking here. FAI has verified that the FCN 190 – FAR Fundamentals course offered by the Contracting Education Academy at Georgia Tech meets the requirements for delivery of the new FAC-C (Refresh) Level I certification requirements. FCN 190 – FAR Fundamentals is scheduled on the Georgia Tech campus on two sets of dates in 2015: Jan. 26-Feb. 6 and Mar. 16-27. Registration information appears here. The course is also available, on a contract basis, for presentation both on-campus at Georgia Tech and on-site at government facilities.